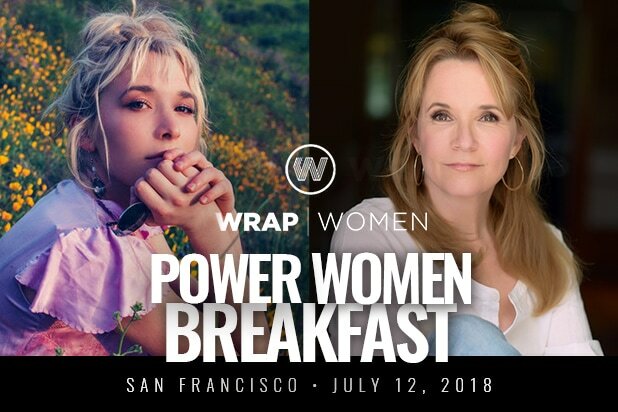 Lea Thompson and Madelyn Deutch, the mother-daughter filmmaking team behind the new release “The Year of Spectacular Men,” join Power Women Breakfast San Francisco on July 12, the fourth in TheWrap’s 2018 event series featuring inspiring women of achievement. They join Compton Mayor Aja Brown and Oakland Mayor Libby Schaaf as keynote speakers at what promises to be an impactful morning at the Dolby Laboratories Headquarters in San Francisco. Wrap Editor-in-Chief Sharon Waxman will interview Thompson and Deutch about collaborating on their film, “The Year of Spectacular Men,” and the joys and pitfalls of mothers and daughters working together in Hollywood. Written by Madelyn Deutch, the film – released June 15 – is a personal look at the life, language and loves of millennial women. It was directed and produced by Thompson who co-stars along with Madelyn and her sister, Zoey Deutch, who also serves as producer. They join a stellar lineup of female influencers including Aja Brown and Libby Schaaf, the mayors of the California cities of Compton and Oakland, who will share the stage for a conversation about their progressive visions for elevating and improving the lives of their constituents. Kathryn Finney, founder of digitalundivided, will share data from the group’s most recent Project Diane report on the state of Black and Latinx women in the entrepreneurship and innovation economies. The breakfast in San Francisco follows on the heels of two recent Power Women events in Washington DC and New York City, which welcomed Senator Amy Klobuchar (D-MN), Iranian activist Masih Alinejad and Emmy-winning actress Judith Light. To find out more about Power Women Breakfast and to get your ticket to Power Women Breakfast San Francisco, go to www.wrapwomen.com. TheWrap’s Power Women Breakfast series is connecting and inspiring the leading influential women of entertainment, media, technology and brands in the key cities where those women work, create, gather, network and connect.